Laura Mylius-Prou, a graduate of the University of Cincinnati’s DAAP design program in Ohio, began her career as a designer/patternmaker for Mattel Toy Company in Los Angeles, California in 1984. 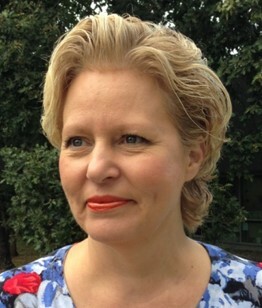 She joined Lectra’s U.S. operations in 1987, as a solutions expert in computer aided design for apparel. Five years later, Laura relocated to Lectra’s corporate headquarters in Bordeaux, France where she actively promoted Lectra’s offering for Fashion and Apparel in their International Advanced Technology & Conference Center for numerous years, receiving prestigious customers and prospects from the world over. After holding many positions and performing diverse roles at Lectra from product marketing for design solutions to events marketing, to project implementation and knowledge transfer. For the past three years, Laura has been a Project Manager in charge of promotional marketing for Fashion and Apparel solutions worldwide.